We met on Twitter. Many people find it hard to understand how Twitter even functions, but in our beginning, a short few years ago, a small group of bloggers in Ireland discovered each other there. All with individual interests and reasons for blogging, eventually, here in the South East we bonded offline, over cups of coffee, camera phones and WordPress v Blogger. Today myself, Eadaoin (City of Blackbirds) and Susan (Vibrant Ireland and Travel) are at Suzanna’s farm in Kilkenny where she breeds Zwartbles sheep and makes dark chocolatey blankets from their wool. Four nerdyish females in the photography heaven of Irish Spring sunshine! Could it get any better? Well it did. Straight after lunch Suzanna led us into the orchard where there was a ewe in labour. 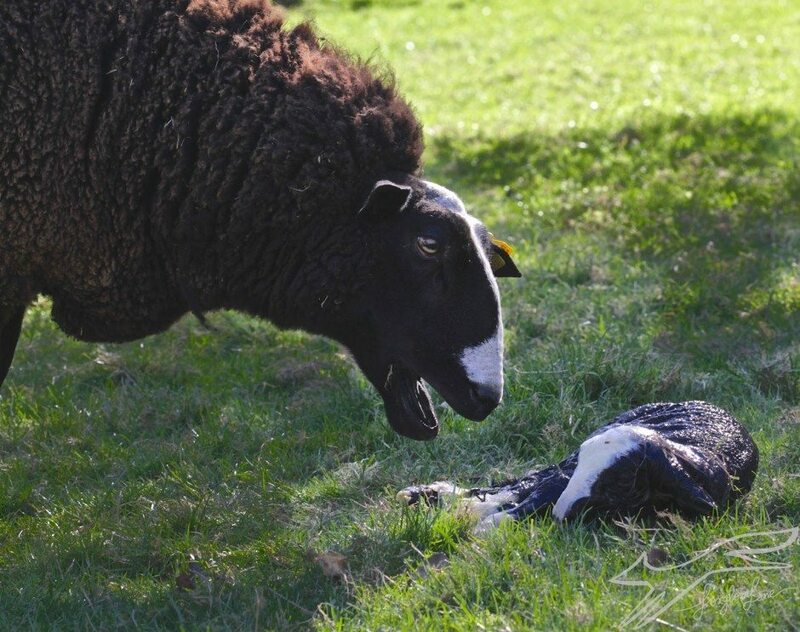 Here we witnessed the birth of the last lamb of the season. It was the first time I had seen this up close, an everyday event full of wonder. 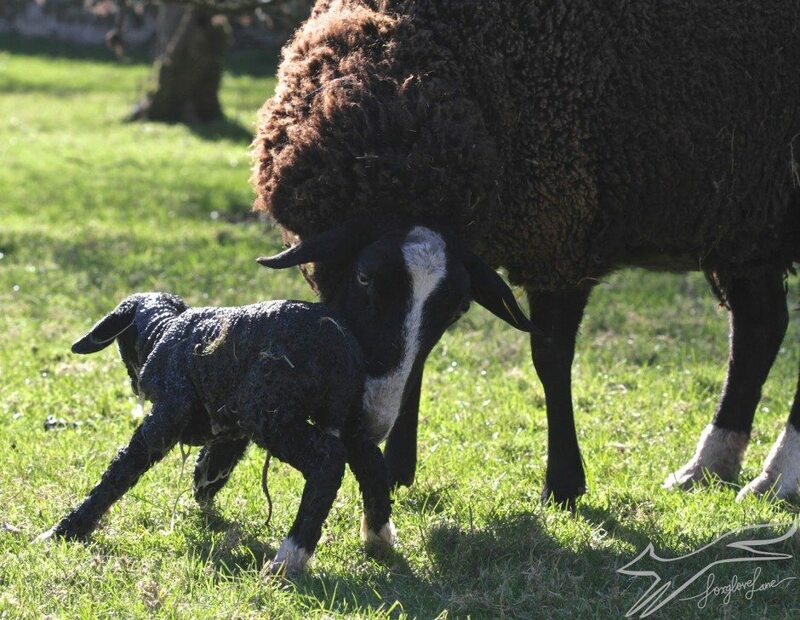 In the shadowy light under the trees, with the rhythmic circling of the ewe, the wet lamb stands up in seconds having being licked and nudged by her mother. 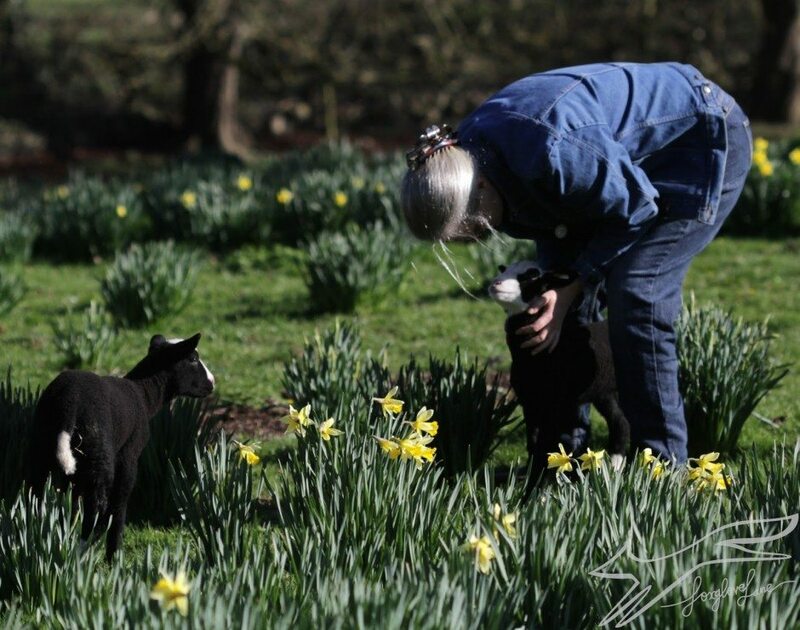 Later we brought some new babes for a walk through the daffodils planted by Suzanna’s Grandfather, we lay in the wood anenomes to photograph the dying light and fed lambs from bottles in the farmhouse kitchen. I’m left with the warmest glow of gratitude. 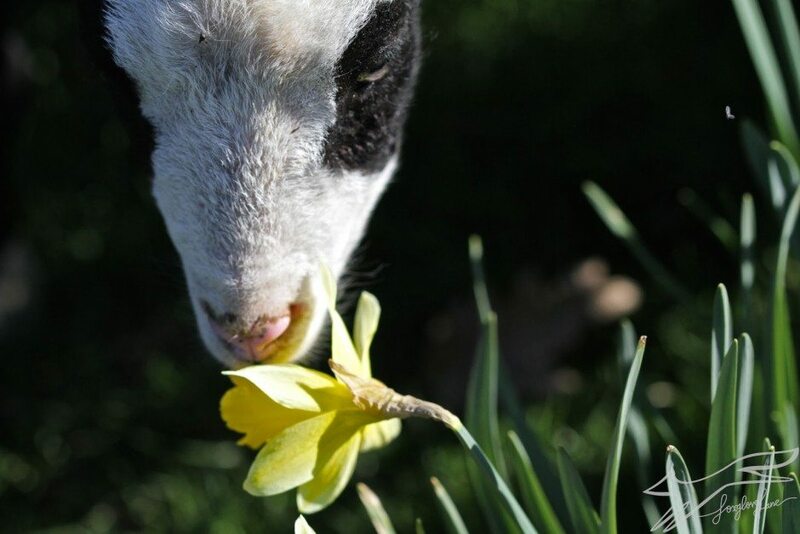 Passionate women, cuddly lambs and sunny daffodils, a perfect kind of day………. that lamb looks velvety, strokable. Will the lamb let you stroke? Diane absolutely! Lovely and soft and woolly!! That must have been a day of your life, wonderful! As we had sheep in the past, I´ve seen it many times but it´s new and wonderful again and again. 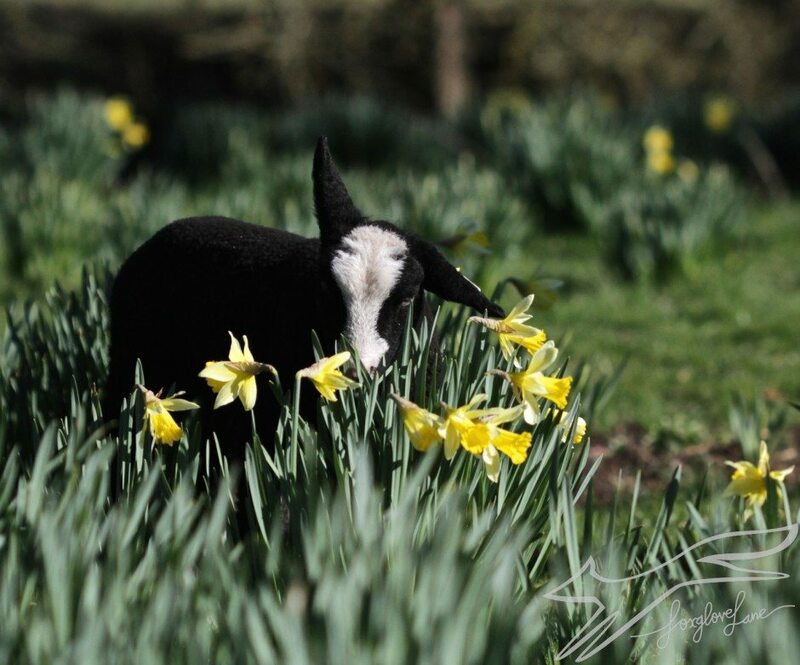 Your pictures are of the cutest ever seen, lambs among the daffodils. What an experience! Everything you described was just beautiful, from the ladies to the lambs. Love the photos, and that Irish sun! O yes Mary Anne that rare commodity Irish sun was essential!!! What a lucky gal you are to experience something so beautiful! Oh…now I'm going to have those dark chocolatey blankets on my mind!! Lovely chocolatey blankets, natural un-dyed and snuggly! This is the epitome of spring, in my book! Lovely on so many levels. 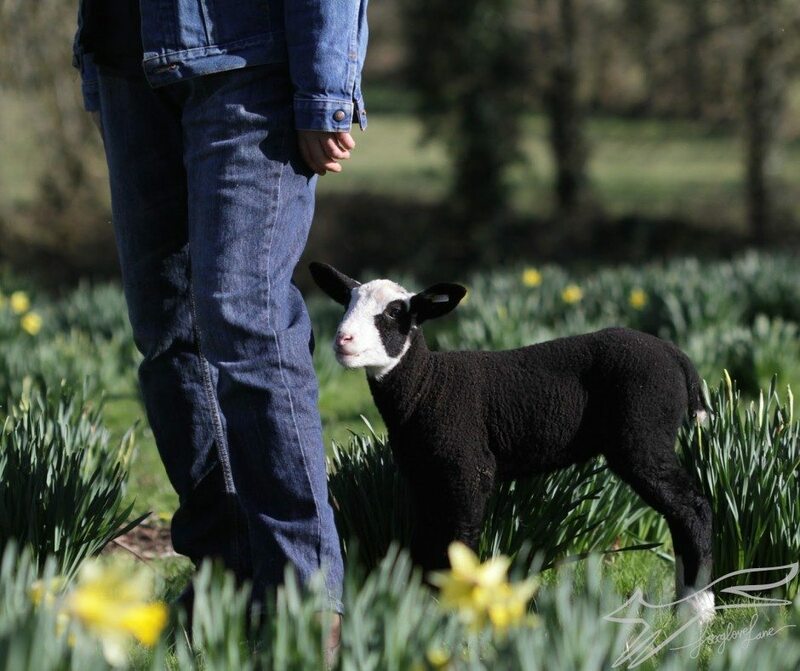 What a perfectly grand meeting and watching the birth of these precious lambs so symbolic for spring…new birth! Ah Donna thank you…..very true, yes symbolic…..I like that so much! To be present at a birth and to capture new life with your camera … it doesn't get much better than that. Yay!! Thank you Chantille Fleur….what a lovely name….. Some magical timing involved here!